eRun Cloud POS is loaded with essential POS functions for retailers. Its cloud based structure design allows you to connect to the system any time through the Internet. It reduces the hassle of installation and IT management and provides the best POS solution with only a small amount of monthly rental fee. It does not only work well in stand-alone shops. For large scale chain stores, eRun Cloud POS also offers them with flexibilities to deploy a hybrid solution of Client/Web POS with end-to-end processes at consignment counters, exhibition booths or bargain outlets that maximizes sales opportunities. 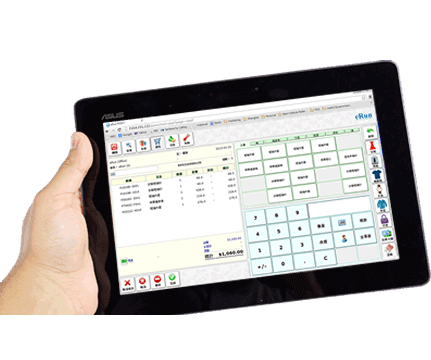 Learn more about eRun F&B POS. eRun Retail POS will help you maximize your business opportunities. Click here to read more. Click here to learn how to bond closer with your customers by eRun CRM. Read how this robust back office inventory system rationalize your material control. See how our reports and statistics help you make wiser decisions. With its user friendly interface, you can create your product list in minutes and start you business right away. It is scalable to cater for multiple store operation with a robust back office support and powerful analytics. It works on PC, Mac, iPad without involving any installation service. You can even run it on POS hardware you already own. It provides you with a complete set of POS functions that meet the daily operation needs of retail shops. You can save data to cloud storage and retrieve useful business information from any location that has Internet access. eRun cuts down your initial investment and allows you to start from around $300 a month for a basic contract. 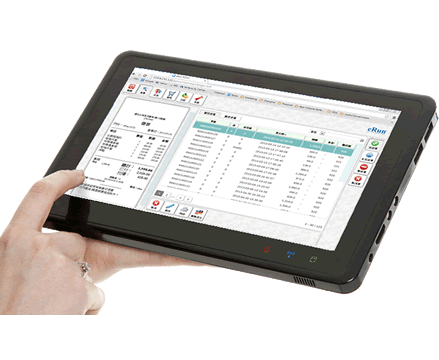 Call us for a free trial of eRun Cloud POS! Talk to our sales specialist and start a FREE trial. No obligations! Just to make sure it is suitable for you! eRun strives to provide the best solutions to meet your unique needs. It is our pleasure to share with you our experience in using F&B and retail management system. Just call us for a demo and let us tell you in details how eRun can help expand your business.